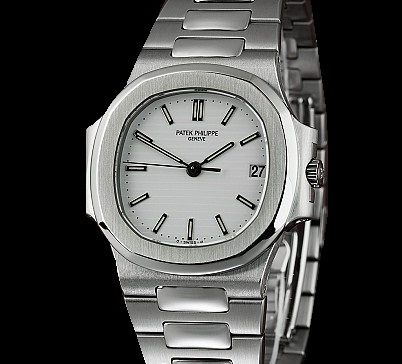 Patek Philippe Nautilus Mens with RARE white dial. Pre-owned in LIKE NEW CONDITION with original Patek Philippe warranty papers and tag. Stainless steel 38mm case, rare white dial, automatic movement, with date, and solid stainless steel case back.